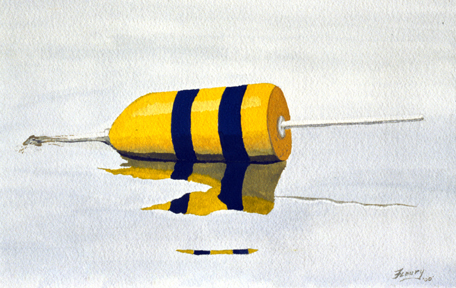 "Patty's Buoy: Ode to HRC"
This unlimited edition print is slated for release in July, 2006. "Friends of the Barnstable County Human Rights Commission." Each print is 5" x 8" and framed to 15" x 15" in black wood. All will be signed and numbered by the artist, beginning at No. 1.
or email us through this site.